“Where is your Youtube video”, Mamaw (my mother) asked me last week. I replied, “No one will be videoing me, sniff, sniff!” HOWEVER, I CAN SKI! My first lesson was on Monday went fairly well. Jenny had devoted most of our private lesson to Carter and Ammon, and I made a mistake of wearing my ski boots all day. I also put on my skis a time or two. By the time it was my time for a lesson, I was already TIRED! Booooooooooo! I was having trouble making my “pizzas”, and my legs were wobbly. The next lesson was the following Thursday. It snowed the whole morning I skied. Jenny and I were the first people on the slope, and I went immediately to the run. I had been awake and thinking since 5:00 a. m. (it was now 8:30), and I told Jenny, “If I fall, I fall!” The new, “controlled” snow was great. I did, indeed, fall again on the learning slope, but it was the ONLY time until the Discovery Run that is a practice segment of Keystone’s beginning green run. When I finally got my balance and my pizza down real well, I really enjoyed the skiing. The snow kept falling and falling, and we went up to the Discovery Run for the last 30 minutes of the lesson. There was a narrow turn at the very top of the run, and I fell all three times. LOL. 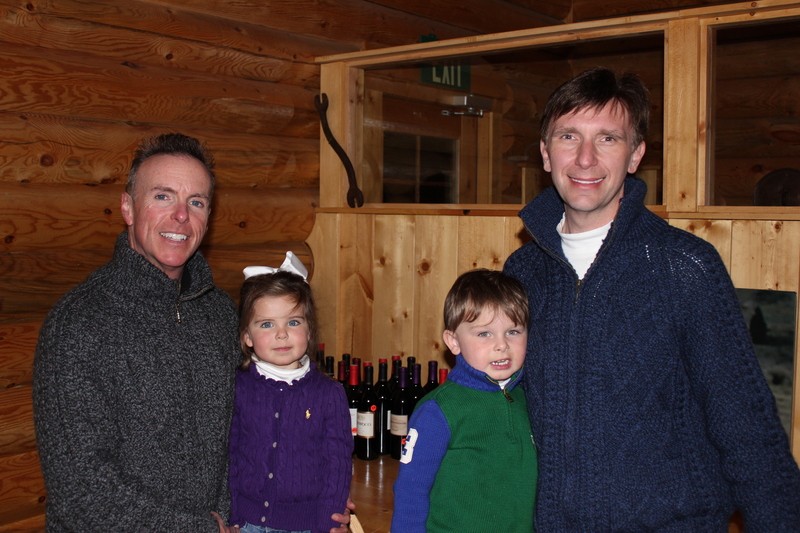 Carter, Ammon, and I are ready to ski after Thanksgiving this year. Sean will take more snow boarding lessons as well. 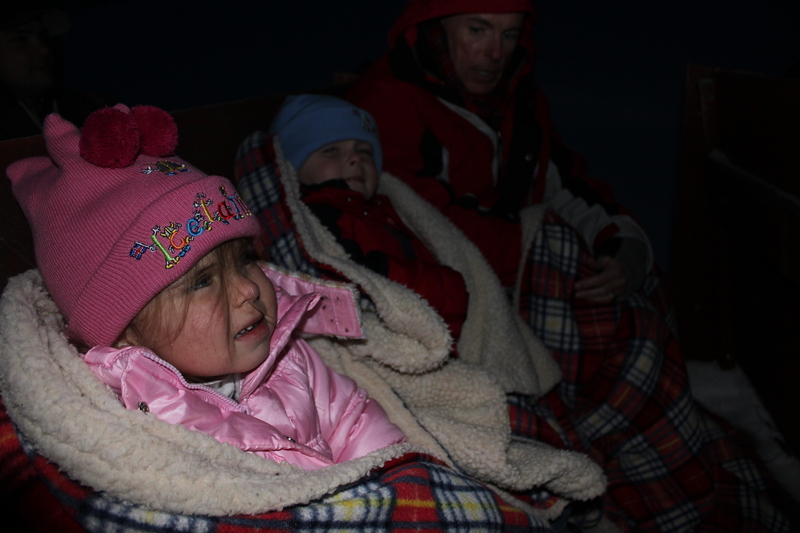 Thursday evening sleigh ride was cold but AWESOME. Carter kept singing “Jingle Bells”. We rode out to a cabin , had a delicious dinner with a great singer (guitar and singing) as an entertainer, then had our sleigh ride back to our bus. 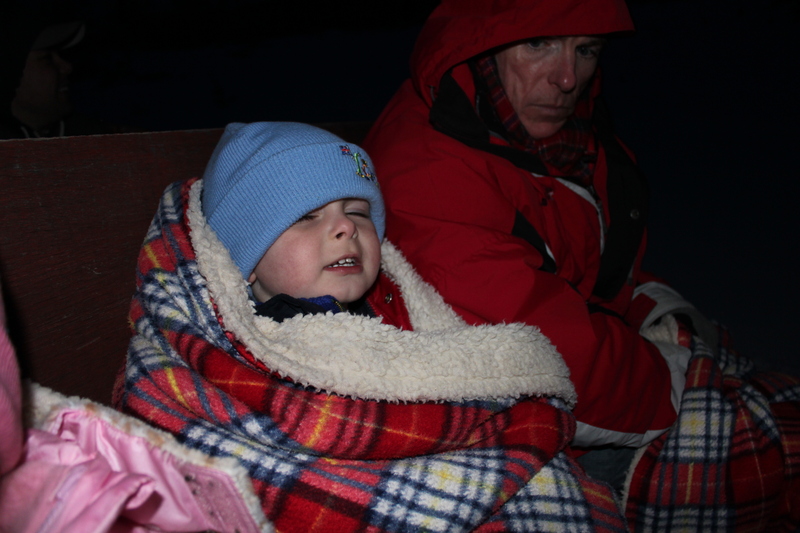 Ammon in the sleigh ride. I think it was about 12 degrees! thankyou for sharing your wonderful holiday I have really enjoyed all the photos & videos Its amazing to see how easily the children learn .